The Morristown & Erie Railway's Whippany Yard serves as a private railcar parking facility in a beautiful suburban setting. An original station, classic railway equipment, and historic structures create a period atmosphere to complement the Whippany Railway Museum’s vintage railcars that are stored at the facility. In contrast to its historic location, Whippany offers all the amenities of a modern facility. 480 volt HEP, potable water, car washing, waste management, and light repairs and maintenance are all available on site. Arrangements can be made for live/occupied parking or dead storage. Car owners are also able to perform light work on their cars on-site. Winterization service is available. Additionally, the Morristown & Erie Railway operates a full-service repair shop just four miles away. A number of private cars call Whippany home and have been continually maintained to Amtrak’s high standards by the M&E’s mechanical staff. Security is maintained through the presence of M&E staff members and the high visibility location of the site. Whippany is located just 35 miles from New York City. It is a venue for safe and convenient private car parking in the New York area where car owners can relax aboard their private railcars in peaceful surroundings. Owners who conduct business or entertain aboard their cars find Whippany to be the perfect setting for their events, where they can offer their hospitality in a friendly railroad environment without inconvenience or additional cost. Whippany is situated in a convenient, accessible location. Guests will find their private car spotted in a well-maintained railroad facility. Ample vehicle parking is available to accommodate visitors, and cars may be occupied overnight. 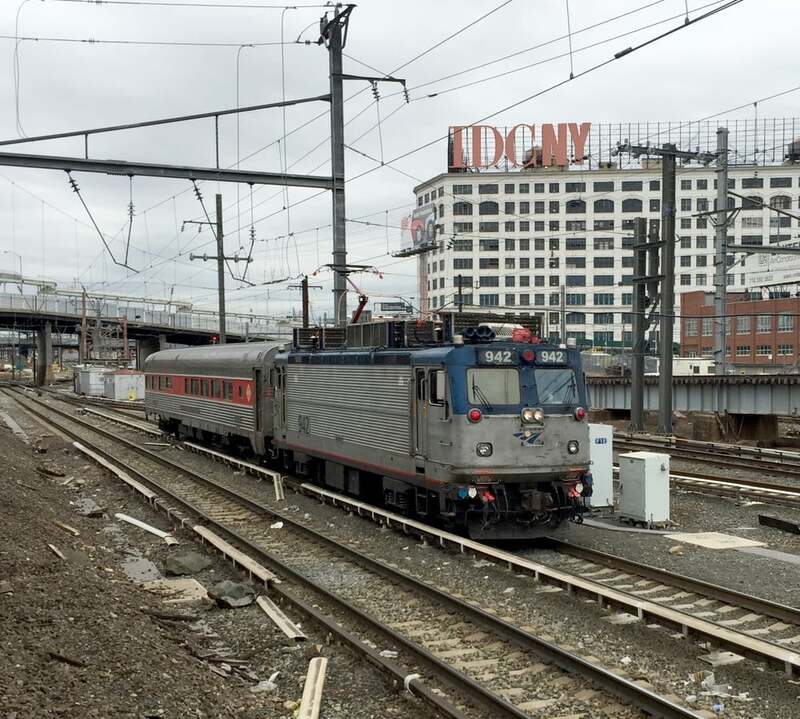 The M&E can enhance a meeting or event with a short trip over the Morristown & Erie Railway or with a high-speed outing over NJ Transit’s regional rail network. The M&E has been operating private railcar excursions, political specials, and custom corporate trips since the early 1980s, and the company’s passenger services staff will work with a private car owner to help arrange an stationary event or a special train. If the car owner desires, their car can be included in the M&E’s charter operations. The M&E will promote and market the owner’s car alongside the M&E fleet to enhance opportunities for charter business. Contact Chuck Jensen at 973-267-4300 or at cjensen@merail.com today.